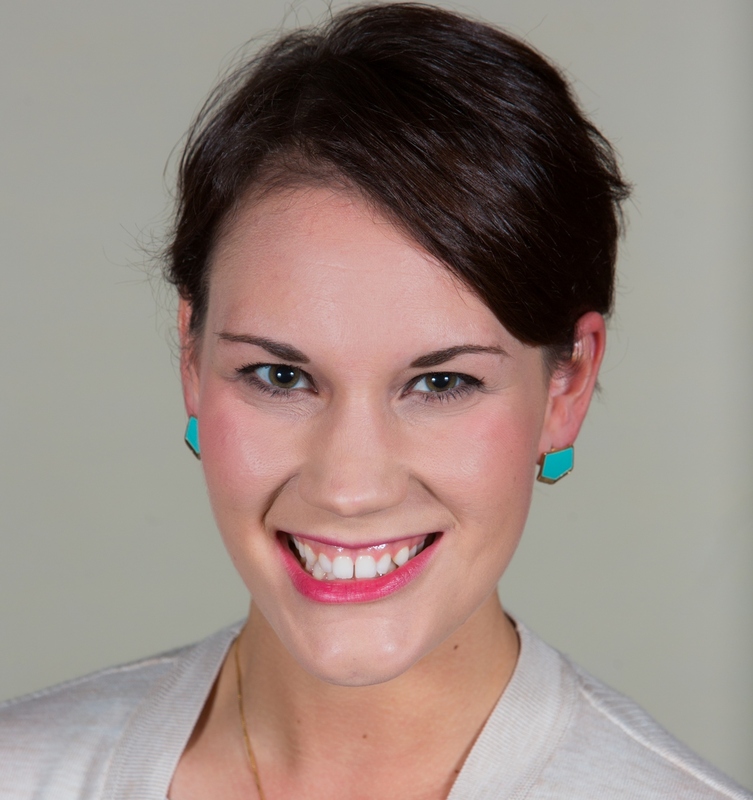 Telecommuting: Who Offers What and Why? Solving tight parking lot situation, promoting work-life balance, decreasing carbon footprints . . . 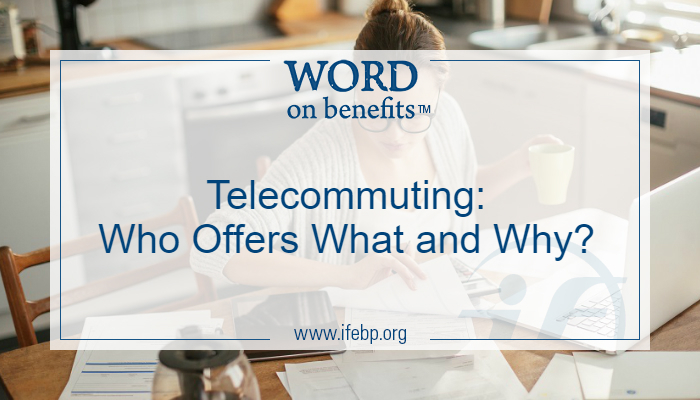 Organizations have many reasons for offering telecommuting, finds a new survey report from the International Foundation of Employee Benefit Plans. Flexible Work Arrangements: 2017 Survey Results revealed that 94% of U.S. organizations provide some type of flexible work arrangement. Telecommuting is one of the most popular flexible work arrangements that organizations provide with 74% of employers offering. It’s popular. It’s on the rise. But is telecommuting always the best option for an organization? After several high-profile companies (Bank of America, Yahoo!, Hewlett-Packard and IBM) ended their telecommuting arrangements recently, I asked Julie Stich, CEBS, associate vice president of content at the International Foundation, what she thought about the trend. Julie said these early pioneers of telecommuting policies may say it’s not working and they want a return to face time. But many smaller organizations have just started trying it. Success depends on several variables, like employer size, industry and culture. Despite its popularity with workers, employers aren’t shouting about telecommuting from the rooftops. Sixty percent of employers only communicate about telecommuting when a worker approaches a manager about it. Thirty percent communicate about the benefit during the hiring or new employee orientation process, and 25% of employers list the option in their organizational handbook. The future of telecommuting? The International Foundation report found it’s on the rise, and employers expect it to grow further. More than two in five organizations reported more workers telecommuting now than two years ago. Almost 40% of employers believe more workers will telecommute during the next two years. Flexible work policies are positive for most organizations and rank high among employees as a sought-after benefit. Because every organization’s workforce is unique, however, it’s difficult to create overall company policies that will be fair for all employees. Achieving fairness for all staff is a barrier that 35% of organizations deal with when they offer a flexible work arrangement. Other barriers include: A portion of the job cannot be done remotely (25%), lack of upper management support (22%), and more difficulty in monitoring/managing workers and their work (18%). For more information and to read the full survey report, visit www.ifebp.org/flexiblework.